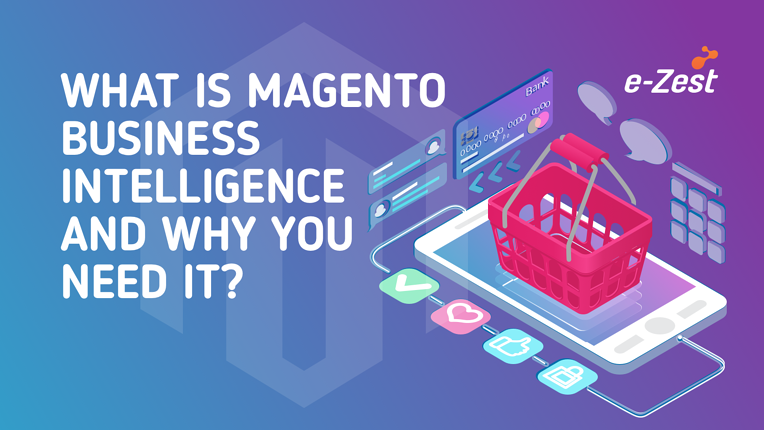 What is Magento Business Intelligence and why you need it? Recently Magento has come up with a new feature Magento Business Intelligence (aka Magento BI). In this blog post, I will run you through some of the most common and frequently asked questions about Magento BI and why you need it. Q: Why do I need Magento BI as I already have Google Analytics? A: Magento BI does sound similar to Google Analytics at the first glance, but there are a few important differences. Magento BI syncs with data from many other platforms: Facebook Ads, Salesforce, Mixpanel, Google AdWords to name a few. Instead of checking in each separate platform, Magento collects all data available to analyze in Magento BI. Separate dashboards can be created as per your requirement and you can even store all data sources in Magento BI. Magento BI also comes with the ability to calculate customer lifetime value (CLV). Since Magento BI syncs all data sources, it’s possible to calculate and compare acquired CLV and the cost of each acquisition by channel. Whereas in Google Analytics, the ability to calculate CLV involves a ton of guesswork and often leads to inaccurate calculations. Accurate CLV helps to figure out how much to spend on a specific ad network is needed. Q: What are Magento BI's advanced features? SQL Report Builder: SQL Report Builder is the most advanced tool that Magento BI offers. You can use this feature to generate reports based on various parameters. To learn more about it, check out the guide in this URL - https://support.rjmetrics.com/hc/en-us/articles/207390996-Using-the-SQL-Report-Builder. Cohort Analysis: Cohort is a group of people who share a common characteristic over a certain period of time. For example, customer groups based on their ‘join date’, or the date when they made their first purchase. Studying the spending trends of cohorts from different periods in time can indicate whether the quality of the average customer being acquired is increasing or decreasing over time. Q: How much does Magento BI cost?